I love January, in part because it gives me carte blanche permission to read all of the works of Lucy Maud Montgomery that I please. 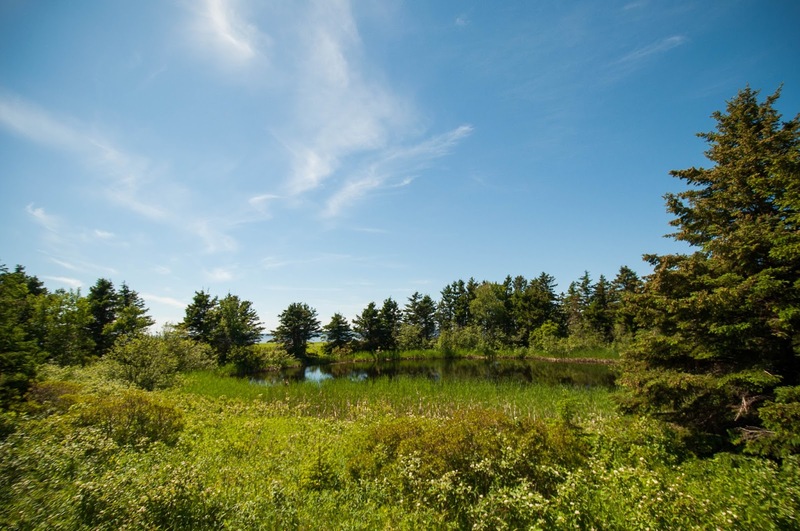 This is not to say that I do not read her at any point during the remainder of the year (because I do) but the Lucy Maud Montgomery Reading Challenge offers permission to be especially indulgent. Last year was my first year to include all of my children in this reading challenge. I started them off with The Story Girl which they absolutely loved. We also began watching Season 1 of the Road to Avonlea series. 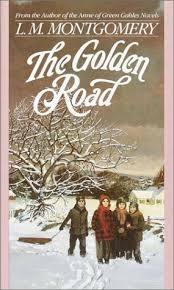 This year we read The Golden Road , sequel to The Story Girl, and we made it into the second season of Avonlea. I was a little afraid that The Golden Road (available for free on Kindle, by the way) would be a bit over their heads because it has more poetical descriptions of the landscape than I recall being include in The Story Girl. In order to keep and maintain their attention, I skimmed past long descriptions and tried to keep to the point of the story. The Golden Road picks up where The Story Girl left off. With this book we are back in the company of the King cousins who have grown up just a smidge, but not so much as to eliminate childhood antics and behaviors altogether. The kids decide to start up their own newspaper and report on the goings on within their own family and also the Avonlea community. They also try to create and live by some New Year's resolutions which is highly amusing. The Story Girl (aka Sara Stanley) throws in a tale or two and the book is one collection of happy memories of a childhood gone by. My kids thoroughly enjoyed it, frequently asking for "just one more chapter!" to be read. It helped, I think, that we were watching Road to Avonlea at the same time as the characters are more fixed in their minds and they can picture the way things are being described just a little easier. I wish to note that my kids are 3, 5, 6 and 9 and they all sat still through this reading. Each of them, excepting the three year old, laughed aloud at least once during the book, showing that they were following along and enjoying themselves. Perhaps the most memorable part of this book for me was the inclusion of the story of "The Yankee Storm" as told by Sara Stanley. 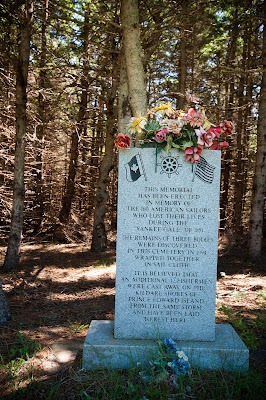 Sara tells the story of a fleet of American vessels who were fishing off the coast of PEI. A storm arose which lasted for two days, during which time many vessels and lives were lost. 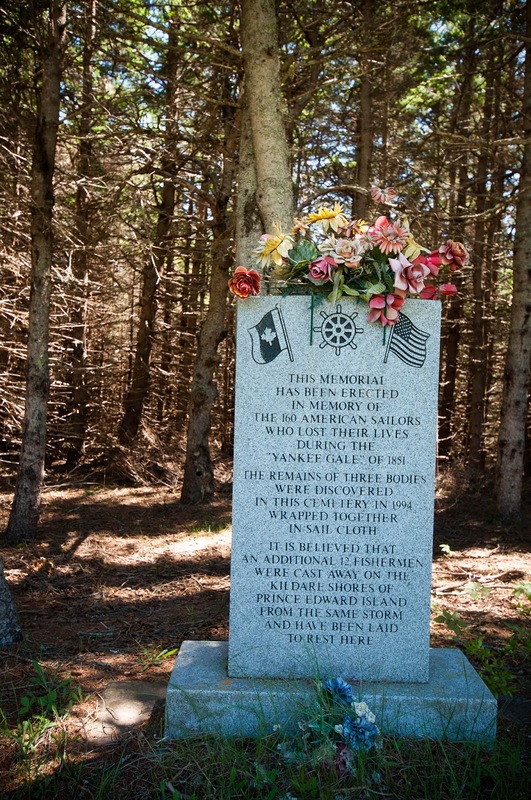 Bodies of American seamen floated up on the shore, horrifying P.E. Islanders who worked hard to bury the dead. 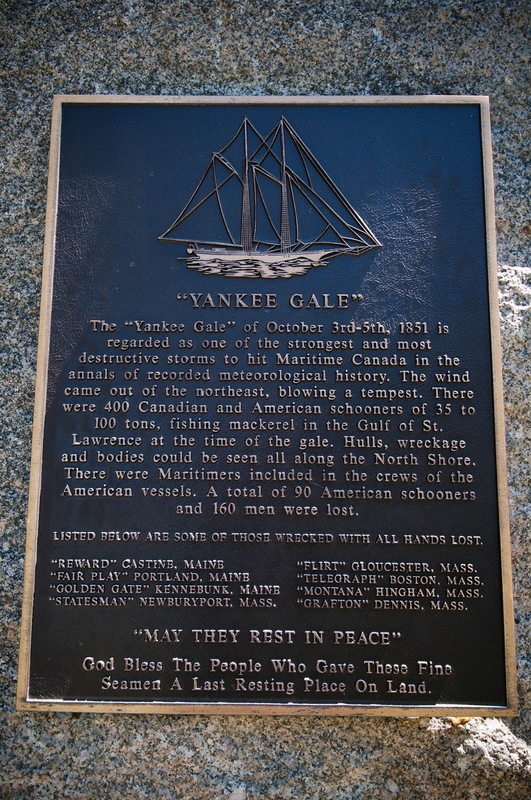 Montgomery places this location of this story near her Markdale Harbor. The thing I loved about the inclusion of this tale was that it is true! 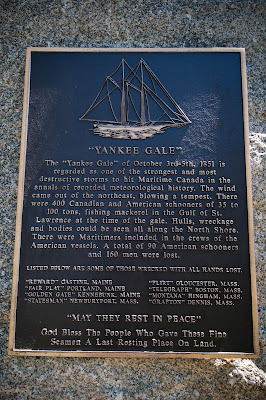 There was a nasty storm on the Gulf of St. Lawrence off the coast of Prince Edward Island in 1851 which caused damage and destruction to upwards of one hundred ships. 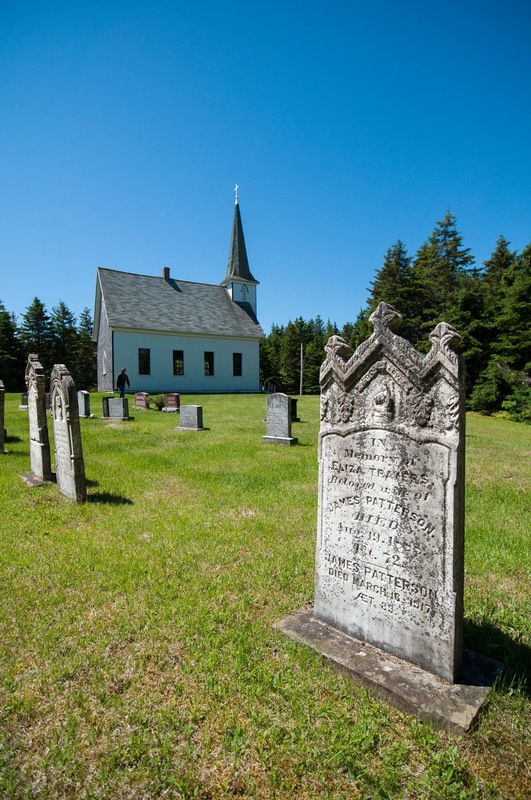 Over one hundred bodies were washed up on the shore and had to be tended to by the Islanders. You can read some of the news reports about the storm here. I confess that reading The Golden Road filled me with a desire to go back again -- and to take the children with us! 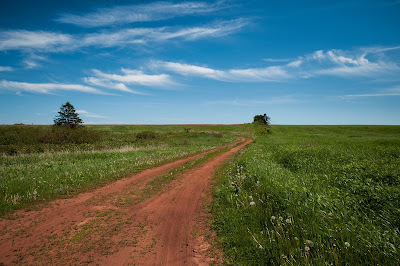 They should see, touch, taste and experience the Prince Edward Island for themselves! For now though, we enjoyed this book and we're enjoying Road to Avonlea and that'll have to do for now. But someday - !